20+ OF THEM IN A ROW ALL IN ONE DAY!!! 12+ hours of live-streaming chipmusic by a virtual cornucopia of crazetastic chipartists!! TOO MUCH GOODNESS to miss out on!! And to push this ridicuWIN over the top (as if it needed any help ;3 ), at the halfway point i.e. the ChipWINtermission (GLENNTAI MADE UP THAT PUNTASTIC NAME!! THROW TOMATOES AT HIS FACE, NOT MINE~ ♥), there will absolutely be a brief apperance by my crazy self, aka President Hoodie, & my jawharp. AT ANY RATE, tune in to the Clipstream Ustream channel this Saturday and catch all of the chipinsanity!! Gonna be GOOD TIMES FOR SURE. Photo provided courtesy of Chiptography. So it’s been well over a week since 8Static’s 4th birthday bash, and the relaunch of this blog has been stalled a bit by equal parts Philly Flu, busy life business and, of course, procrastination. Sorry, everyone! It’s honestly a colossal task, trying to recap an event of this magnitude. I mean, really! What can be said about this show that hasn’t been summarized one thousand times better already? Was this 8static legendary? Absolutely. Mind-blowing? Most definitely. Just about THIRTY performers shared that stage on a night that no one in attendance will soon, if EVER, forget. From the open mic to the alumni showcase, and the scheduled performers that followed, everyone gave 110% throughout. Everyone in attendance charged PhilaMOCA with a pure spiritual energy that affirmed and re-affirmed everything that makes this scene, the musicians, visualists, organizers and fans truly the best in the world. For a few incredible hours, we were all home. With absolutely zero regret, I roped a good buddy of mine into taking an impromptu roadtrip to show him what live chiptune is all about. That’s my excuse, anyway, and I’m sticking to it. The first 8static I’d been fortunate enough to attend was back in April, during a fairly restless time where I’d been traveling about as much as my wallet would permit. And ever since that first taste of Philadelphia’s incredibly talented and welcoming chiptune community, I had been absolutely dying to return. With 8static’s 4th anniversary coming up, and a slew of incredible acts scheduled to perform, I knew in my heart there was no better time. But that’s enough expository rambling. You all came here for the music, and I would be honored to serve up my favorite bits. Starting, of course, with the open mic. By chance and fortune, I actually had the great pleasure of kicking the show off! But more about that later. There were so many performers that night, so I’ll offer my sincere apologies in advance for skimming over quite a few. Chip Music Chronicle has the entire show documented, as always, and I can’t urge you strongly enough to check the entire 8static 2E playlist. The recordings are very much essential in understanding just how stellar this show truly was. The first of my highlights for the open mic would include Pixel8ter‘s fantastic Beastie Boy’s cover of “I Don’t Know”. Check out those shades! This track is also featured on the 8-bit Beastie compilation, which I would definitely recommend checking out. Shyabeetus was a new face for me, and he did not disappoint. Busting out a killer Castlevania medley that was both entertaining and aptly-suited to the atmosphere and approaching Halloween season, he earned himself a new fan that night. I’m very eager to hear more. And how about Storm Blooper? Definitely in strong form at this event, he delivered a blood-pumping dance-inducing performance that continued to raise the bar for the night ahead. I don’t think anyone was expecting the open mic session to be THIS strong! This kind of material portends a bright future for chipmusic. The Alumni showcase soon followed, featuring a variety of veteran 8static performers doing exactly as expected: dazzling the crowd with a slew of memorable performances. Personally, I found Joey Mariano‘s speech and performance to be a poignant reminder of the multitude of ways in which a creative and willing mind can approach the chiptune aesthetic and use it to express their own creative spirit. Dino Lionetti. Cheap Dinosaurs. Super-genius. Hair. ‘Nuff said. Bright Primate‘s performance was quite unique this night, but that may owe a lot to me expecting material from their most recent album. Instead we were treated to a new track that brought rays of sunshine and thoughts of summer days to my mind. I should shut up, but seriously, they completely switched everything up in the most welcome way. Very impressive. Chipocrite had plenty of surprises in store himself, starting with a track I cannot begin to classify. Awe was induced! But seriously, his performance was fun, mesmerizing, and hell if I can find the words for what more! Dude’s one of a kind and it was perfect having him back in Philly for this one monumental evening. So glad he could make it. I’d just be foolish not to mention the legendary Alex Mauer, who captivated the entire audience with a mastery of composition and execution that is largely without rival. I don’t know what wavelength he operates on, what space he’s occupying, but he continues to blow minds and open ears. And I’ll close this portion out with Decktonic‘s “chill” performance! Not simply because he was great out there, but because he was equipped with the single best zinger of the night. The scary thing? All of this: barely scratches the surface!! But it’s all I have the time to write about this go-round, so be sure to check out Emily Feder’s Chip Music Chronicle Youtube channel for footage of everyone else from the show (& SEVERAL other shows). Sup y’all? =) Hoodie here. SO, the Expansion Pack has been very successfully released (THANKS AGAIN, GUYS~ ♥ ^_^ ), & thus it’s time for the ChipWIN blog to go back into hibernation until the next project, right? So you’re just coming down off of the high from PixeLove, and then all of a sudden you’re hit with this jerkiness. It sounds almost mechanical and a little mysterious, like you’re in a small clunky spacecraft flying around the moon. This continues for about a minute, until out of nowhere it opens up! It starts to sound almost hopeful, like you’ve caught sight of the elusive beast, the Lunar Whale, off in the distance. 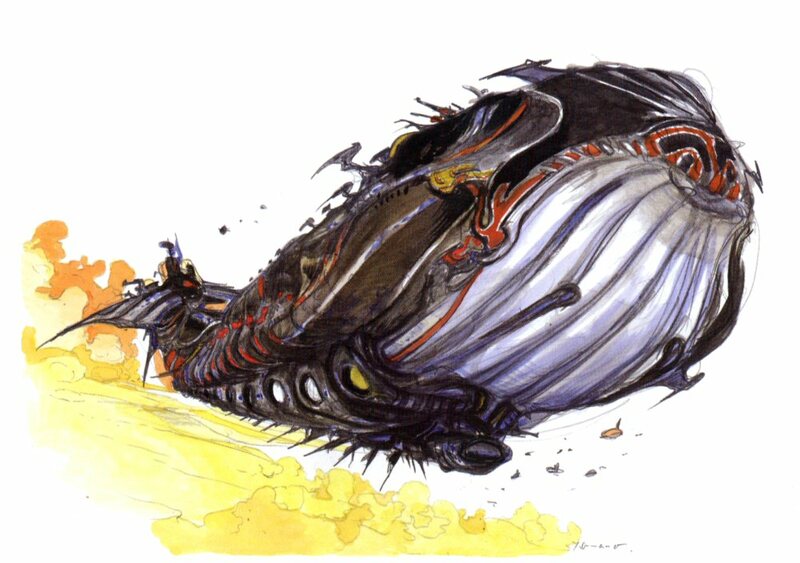 It’s just chilling, lazing around, because hey, what else is a space whale gonna do, right? But somehow, you lose sight of it and the music returns to a variation on the first theme. Until suddenly the music speeds up and you’re face to face with the moon whale. The music swells to a grand climax as you bear down on the whale. As you’re hit with these soothing arpeggios, out in front of you you notice a whole pod of lunar whales. You just stop your spaceship and stare at this awesome sight. Okay, so maybe that’s all just me, but every song’s got a story, even if there’s no words. And if you’re gonna name your song “The Lunar Whale”, you’d best believe I’m going to be thinking about whales in space! This ChipWIN track comes to you from the master blaster himself, Danimal Cannon. Maybe you’ve heard of him? It’s not like, oh, y’know, he plays guitar in Armcannon & Metroid Metal and bass in Weaponex or anything like that. Or the fact that he has a genre redefining album on Bandcamp called Roots, which is a neat blending of chiptunes with the occasional guitar accompaniment. In fact, let’s go take a listen to that, shall we? “Danimal Across America” has got to be my favorite track off this album. A lot of the other songs are really low energy but technically stunning, and then you get to this and suddenly WHAM! You wanna get up and dance! What’s really great is the way Dan plays around with all sorts of different genres. He’s even got a haunting rendition of Beethoven’s Moonlight Sonata, which would be all the more beautiful if I wasn’t stuck remembering the level in Earthworm Jim 2 that had it as the background music (you know what I’m talking about, don’t lie to me). In any event, Danimal is, as he says, “the man.” The man with the power. What power? The power of chiptunes. Chiptunes? Yes fool!! Next up, You & Him by Whitely! ChipWIN Art now available for your wall/iPhone/iPad/laptop!!! This is *WAAAAAAAY* past overdue, but I believe it’s time to *FINALLY* introduce y’all to ChipWIN’s graphic artist, Nate Horsfall aka Foxdragon, in the most *BADASS* over the top fashion that I can manage. SO HERE GOES NOTHING!!! ChipWIN Expansion Pack is a go!!!!!!!! !